I am missing the sun! That’s why I decided to create a sunny atmosphere through today’s post. 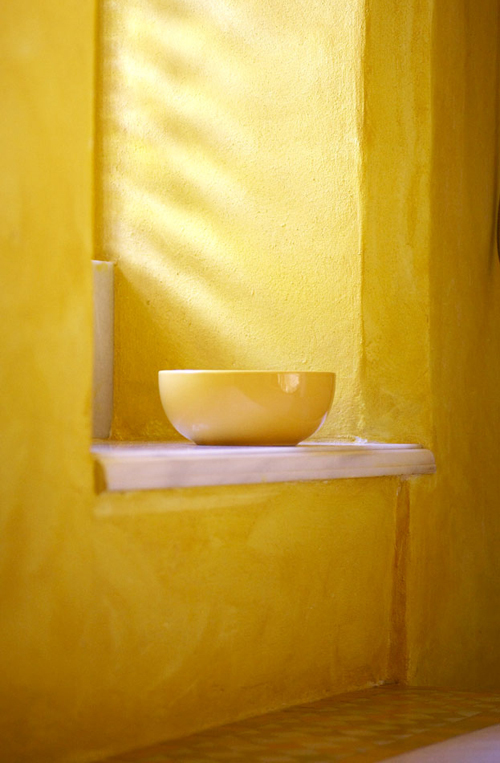 I hope that these very yellow images bring a little bit of sunshine to you! Those warm yellows are great looking. The finish of that paint it quite nice, too. Matte paint always seems to look cozier than the shiny stuff, no? 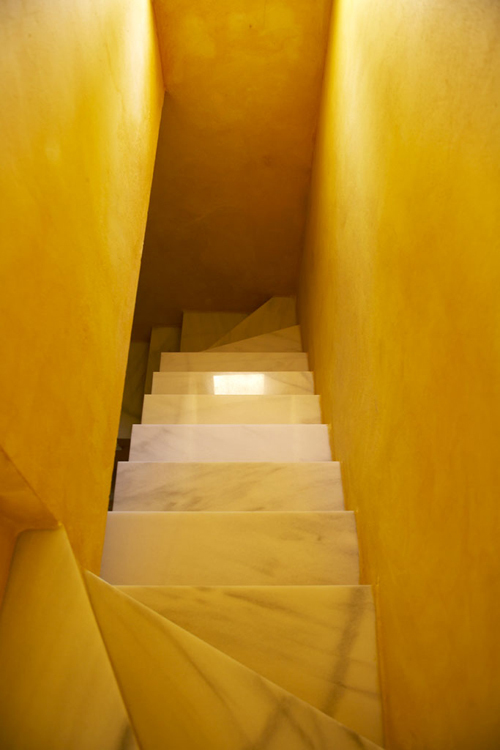 waou… I love these yellow corners especially the stairs… very nice… mine are pinky-red at the moment… but may be next time in yellow!! thanks! Denise – mission accomplished! You have spread sunshine…thank you. Such warm tones! Beautiful pics! What an amazing space. The staircase is really minimal and beautiful with what looks like marble steps right? very nice! Wonderful pictures – and yes, it worked!!!! I’ve never loved yellow more!